Arthur Jafa (born 1960) has worked as a cinematographer with such legendary directors as Stanley Kubrick and Spike Lee; he has also worked on music videos for well-known artists such as Jay-Z, Beyonc and Solange Knowles. However, Los Angeles-based Jafa has recently emerged as a powerful artist in his own right. 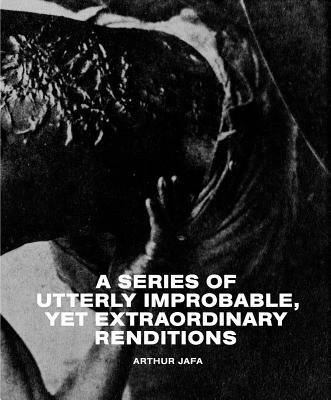 A Series of Utterly Improbable, Yet Extraordinary Renditions presents Jafa's image-based work through the chopping and juxtaposition of found visual sequences covering subjects such as race, conflict, the cosmos and nature. These, in turn, are placed in conversation with texts by authors and artists of such range as Hilton Als, Jean Baudrillard, Amiri Baraka, Judith Butler, Samuel R. Delany, Gilles Deleuze and Felix Guattari, Fred Moten and Cecil Taylor. This mammoth tome stands as a document of an experienced filmmaker breaking through with a powerful, fully formed voice into the fine art world.